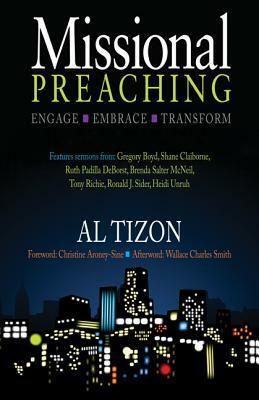 This post is part 2 of a two part review of Al Tizon’s book entitled Missional Preaching. You can read part 1 here. The proclivity of U.S. Christians to create their own subculture within the larger culture-ie., interacting primarily with one another, making friends primarily among themselves, patronizing only Christian businesses, listening to only Christian music and developing their own ‘Christian-ese’ is its own North American vision of the ‘mission compound. In this way, ‘Missional Preaching’ reads much more like a handbook on Missional engagement than an homiletical text, and for that I am incredibly great-full. True ecumenism acknowledges and appreciates the rich diversity of the world’s religions but encourages people of different faiths to be who they are so that genuine dialogue can occur. Far from avoiding differences that may offend, true ecumenism cultivates a sacred space where people of different faiths can intensely, passionately, and respectfully listen to and share their heartfelt convictions with one another. In this light, Christians should bring to the ecumenical round table nothing less than the beliefs and practices of authentic biblical Christianity. To this end, Tizon has succeeded, by providing a work that is simultaneously educational, engaging and practical. If you are looking for a work that will help you begin or continue to think about how to shape your people in missional thinking and practice, through the work of preaching, do yourself a favor and pick this up!